What makes you click on a headline, share an article or subscribe to a newsletter? What inspires you to buy a product and tell others about it? 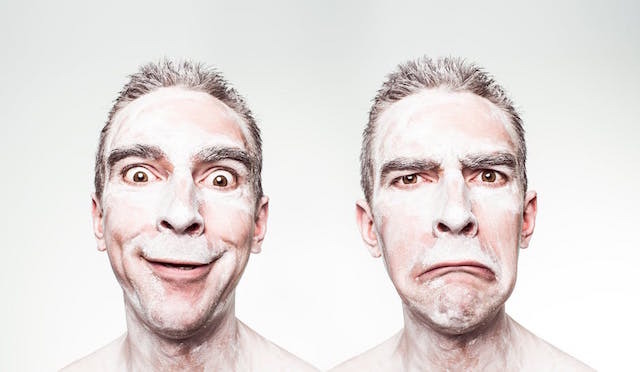 As it turns out, emotion is the driving force behind persuasion. According to scientists, we feel first and act second. Our brains process sensory information in one-fifth of the time it takes our cognitive part to assimilate the same information. However, most business owners focus on the rational elements of their products or services. They talk about facts, numbers, and features. While this information is vital in ensuring prospects about the legitimacy of your business, it’s not facts that compel people to choose a brand over another. It’s the emotions that come with your brand story and marketing message that motivates them to take action. The lesson is simple: if you want to drive more patients to your physical therapy clinic, then you need to understand what gets them hooked and what triggers them. In other words, you need to learn how to put the science of emotions to work. First thing first, don’t get the wrong idea: while emotions are an excellent persuasion tool, it doesn’t necessarily mean that you should ignore facts and data altogether. In fact, studies show that statistical evidence can be just as effective as or even more alluring than story evidence. Yes, stories are more memorable and can help patients remember critical points about your PT clinic. But, research, on the other hand, adds legitimacy to your content, making it more credible than stories. While stories can engage emotions and influence audiences, statistical evidence can often accomplish the same thing. With emotional marketing, on the other hand, you focus on pulling your patient’s heartstrings rather than feeding them facts about your PT clinic. And, here’s why this method is effective. Let’s explore each of them briefly. In 2013, Facebook used linguistic software to analyze over three million posts from their users’ news feeds. They wanted to know the ratio of positive and negative updates and whether basic emotions can influence the users’ behavior. Facebook found that seeing positive content influences people to share positive updates of their own. They also noticed that users become less engaged when their newsfeed is predominantly negative. It’s abundantly clear that happiness stimulates social interactions, encouraging people to share their thoughts and emotions with others. Therefore, if you want to boost your engagement rates, then focus on positive emotions. If happiness enhances social interactions, sadness brings out our empathetic side. In other words, when you are sharing a sad story with your audience (for example, when you tell them about the hardship one of your patients had to endure to rehabilitate their health,) you enable them to produce Oxytocin, a hormone that stimulates the feelings of compassion and empathy. When we deal with negative emotions, the prefrontal cortex is pushed out of the way so that the prehistoric amygdala can take over and respond. As such, when we are scared or excited, we tend to connect with those around as we’re trying to find a safety net. Not only that, but studies have shown that when people watch a horror movie, they feel a greater attachment to the brands that happen to be near them at that moment. In spite of their negative aspect, anger and disgust are two emotions that are more likely to trigger a reaction. In fact, reports have shown that people are more likely to engage with an article that had offensive remarks than with one that was neutral. That’s not to say that you should start making audacious statements to gain the attention of potential prospects. However, you could use these emotions to showcase your stellar services and prove that they would never experiment anger or disgust at your PT clinic. You’ve learned how emotions affect the brain and the influence they can have on the decision-making process. Now, it’s time to put the knowledge into practice and learn how to use the science of emotions to drive more patients to your physical therapy clinic. Your tone of voice matters. When people talk with a brand, they want to feel like there is a human behind the logo. Defining your tone can make you sound human. Using a positive tone can deepen the connection with your audience. Smart PT clinics present their services as opportunities, not as difficulties to conquer. They create a tone of voice that is friendly, exciting, and non-threatening. People want to feel a sense of belonging. Everywhere you look, human beings are trying to build lasting and significant communities. By giving your readers a sense of community, you can inspire them to take action. Do you remember those Apple ads that portrayed the PC user as an annoying nerd? Do you know why these have been so successful? It’s because people love having a common enemy. By creating a common enemy, they feel like they belong to a group that they believe to be like them. Here’s the thing: people love conflict and drama, as long as it’s not directly projected at them. That is why reality shows are so successful. Use this psychological trait to portrait your services as the good guy. While everyone is busy pointing at a common enemy and blaming him for their problems, you can present the solution. Be careful, though; you don’t want to create an enemy that will make people dislike you. There’s a fine line between parody and maliciousness. Just to be on the safe side, stay away from politics, religion or race. Language influences emotions and triggers action. Certain words can boost response and increase traffic and conversion rates. Here’s a list of the five most persuasive words in the English language. “Free”: Humans have an evolutionary instinct to go after the low hanging fruit, so the word free is almost irresistible to them. “Because”: By using this word, you give people a reason to do something. “Because” is a persuasive word that can trigger action. “Instantly”: Words like “instant,” “immediately” and “fast” work as triggers that enhance the activity in our mid-brain. “New”: Novelty plays an important role in activating our brain’s reward centers. Our brain learned to ignore certain overused words. So, when you use phrases like “rough day” or “think outside the box” the frontal cortex – the region in your brain responsible for experiencing emotions – won’t activate. When it comes to health services, the first reaction most people have is fear. They associate them with pain, doctors, and complicated medical procedures. Most people are afraid of giving your physical therapy clinic a chance because they don’t know what to expect. By showing people that there is nothing to be afraid of and that your PT clinic is a safe environment, you can create a sense of trust. And, trust can only translate into a boost in the number of patients that choose your services. The purpose of emotional marketing is to turn wants into needs, build trust and, most importantly, give your patients a sense of belonging. Understand that emotions play a vital part in the success of your business. So, if you want to see a substantial increase in patient numbers, learn how to appeal to their feelings, lure them in, and persuade them to take action. Because we know that can be a difficult task, at PatientSites.com, you can find a team of marketing specialists that know what it takes to promote your physical therapy clinic and take it to the next level. Reach out and let’s devise a plan that you will make you the leader in your niche.